She attended Notre Dame Academy and graduated from DeSales College with a degree in education. She taught at Elmore, Walbridge and McAuley High Schools. She married Franz Nestor Gouttiere in 1947. They were founding members of the Cadence Dance Club. She enjoyed sewing, cooking reading, painting and traveling. 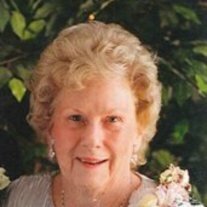 She was a devoted mother and grandmother who will be truly missed.